Trudeau effect on housing market, interest rates and more….! “My fellow Canadians, Canada has spoken…” you’ve heard the speech before. Okay, now that the party is over, what’s the hangover gonna look like? It’s hard to say for sure. Politicians are infamous for making promises they can’t keep. 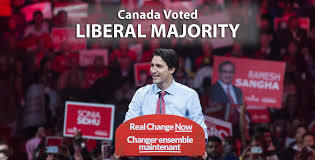 One thing that we (I’m talking about anyone with a mortgage or invested in real estate) should be concerned with is what the Liberals plan to do with housing, mortgage rules, interest rates.